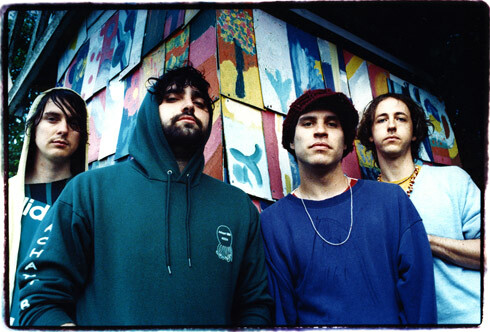 We’ve mentioned Baltimore genre-mashers Animal Collective approximately a gazillion times before, and we’re going to do it again – simply because we’re the sort of gibbering superfans who worship the very ground they walk on. Their last album (2009’s ‘Merriweather Post Pavilion’) has already established itself as pretty much one of the all-time greats, and we’re therefore hugely excited about their upcoming release ‘Centipede Hz,’ which is scheduled to hit the racks on September 4. If you can’t wait until then, you should check out next Sunday’s edition of Animal Collective Radio (well, you should really be listening to it every week if you want to retain any credibility, but that’s beside the point). The boys will be premiering the album in full, so you can revel in the crazy new sounds a few weeks before owning a copy.